Get to know historic Georgetown and The Georgetown Inn from the people who know it best. The Georgetown Review will bring you insight on festivals, events, shopping, saving opportunities at luxurious, European-style inn and more. There’s so much our staff wants to share with you! An annual tradition that’s sure to get your engines purring, the 2019 Coolest Automobiles show is a can’t-miss week of events. Starting April 5th and lasting until the 14th, visitors will be treated to a showcase of hundreds of models of cars from over 35 manufacturers. 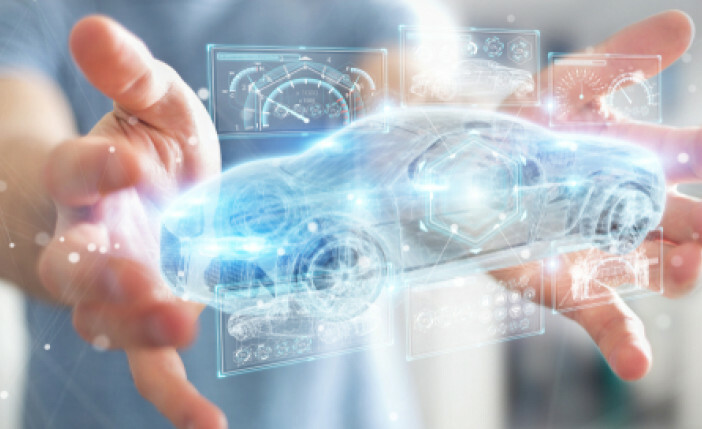 With categories ranging from concept to luxury to electric, and coverage of 750,000 square feet of floor space, there’s certainly enough to see to keep even though most knowledgeable motorheads informed. In addition, there will be a plethora of guest visitors from D.C.’s automotive and sports communities. The action takes place at the Walter E. Washington Convention Center located just two and a half miles from our hotel, a short Uber ride away. For more information on the event and to purchase tickets, visit their website here. Each spring, the famous cherry blossom trees across the nation’s capital transform to show off their colorful flowers. This year’s festival starts on March 22nd and, we assure you, there’s much more to see during the 3-week festival than the thousands of trees across the city. This historic cultural festival features Japanese art, contemporary dance performances, notable fundraisers and parades. Our favorite event, the Blossom Kite Festival, takes place on March 30th at The Washington Monument. The kite flying is timed to match up with the opening of the cherry blossoms and competitive competitions are open to the public to enter. Spectators can watch such things as kite ballet, Rokkaku Battle and other tricks. The Cherry Blossom Festival concludes on April 14th with the Anacostia River Festival. Click here for details on the official site. Washington D.C. is known for museums, monuments and being the hub of American politics. But did you know it’s also a well-known destination for those with a taste for the sweeter things in life? The metro area is well-adorned with chocolate shops, bakeries and candy stores that’ll satisfy even the most insatiable of sweet tooths. We recommend buying tickets through one of these agencies or, if you’re feeling really adventurous, crafting your own self-guided tour for you and your loved one. Either way, we think this would make for a unique (and might we say, delectable!) Valentine’s Day together. We could name so many worthy sweet spots to stop at, but some must-see destinations include Dean & DeLuca, Chocolate Chocolate, Lulabelle’s Sweet Shop and Godiva. Have a wonderful Valentine’s Day! What better place for a massive museum dedicated to celebrating the best journalistic endeavors than in our nation’s capital? Less than a five-mile drive from our property sits Newseum, a seven-story exploration of award-winning news pieces, from photos to newspaper articles to live broadcasts. The museum highlights the impact of journalism on our country’s history and evolution. Guests are encouraged to try their hand at creating a live broadcast at the NBC News Interactive Newsroom, where they may operate behind or in front of the camera to get firsthand knowledge of what it’s like to be at the frontlines of a news story. This is a great experience for children, especially those curious about a career in the industry, but also parents and couples with an interest in journalism. Buy your tickets here today. Hand-crafted ornaments, musical groups from across the country, and more awaits at President's Park! Every holiday season since 1923, The White House grounds becomes home to The National Christmas Tree, a giant evergreen decorated in traditional Christmas decorations. Following the president’s Lighting Ceremony at the end of November, guests are welcome to peruse President’s Park where the magnificent tree stands. This year’s decorations feature over 74,000 LED chips, carrying on the ten-year tradition of using 100% LED lights. It’s sure to put the twinkle in your eyes while leaving a fraction of the footprint! The big tree isn’t the only attraction to behold during your visit. Around the park, there are more than 50 state and territory trees, adorned with hand-crafted ornaments for their own unique theme. Your stroll is accompanied by live music, performed by groups coming from all over the country. Open daily from morning ‘til night, this is an essential part of the holiday season in our nation’s capital. Check out their site here for more details. A visit to Washington D.C. for many is an opportunity to see monuments and sites that memorialize significant figures and moments in American history. 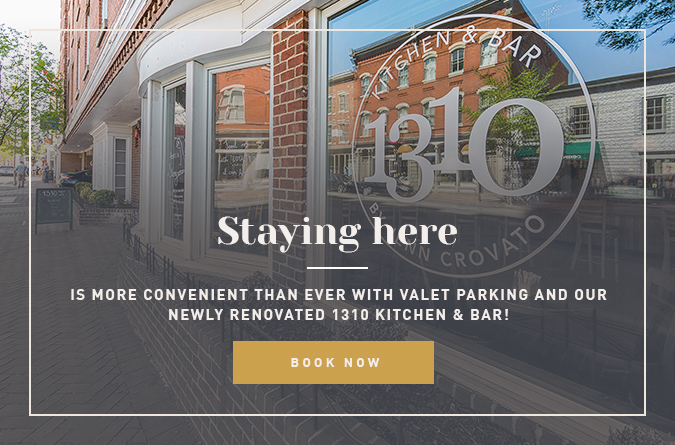 Being located in historic Georgetown makes The Georgetown Inn a perfect staging point for families and individuals planning their trip to the capital. An absolute must-see sight is National Mall and Memorial Parks. Each year, millions of people from all over the world visit to recreate and commemorate presidential legacies, to honor our nation's veterans, make their voices heard while celebrating our nation's commitment to freedom and equality. Take a guided tour and learn the story behind the monument. National Mall and Memorial Parks offer a schedule of park events with fun activities and learning experiences for both young and old. See the Lincoln Memorial, Martin Luther King, Jr. Memorial, Thomas Jefferson Memorial, and the Korean War Veterans Memorial just to name a few. Keep us in mind as you plan because we offer a multitude of great packages for family, business, and leisure travelers. Welcome to our beautiful hotel and great town!